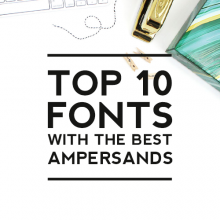 Have you ever seen a font used on a website, business card or party invitation that you wished you knew the name of? 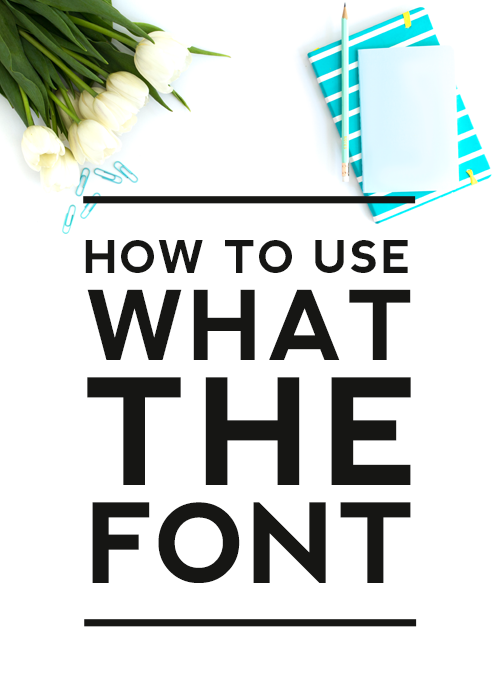 We are going to walk you through the steps of identifying just about any font you come across using a free service provided by My Fonts called WhatTheFont. 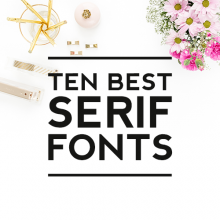 If you don’t already have a digital image of the font you are searching for, take a screenshot and save it to your device. 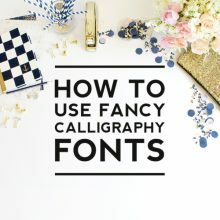 Go to myfonts.com/WhatTheFont/ and upload your image. 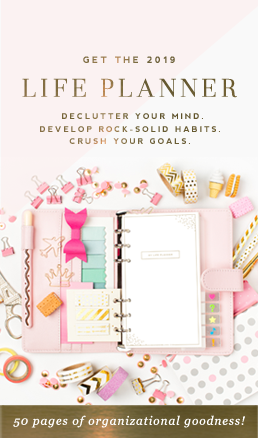 If you haven’t already cropped down your image, drag, drop and resize the dotted box to surround just a word or two of the font you want to identify. Click the blue arrow to proceed. 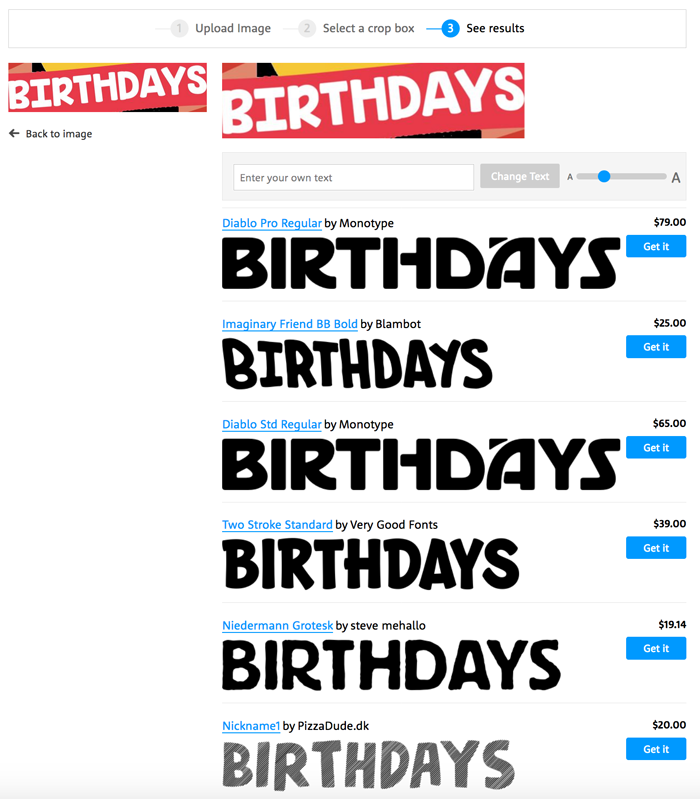 A list of similar fonts will automatically be generated. If the word that you submitted is hard to read, you can type in the word in the “Enter your own text” box. 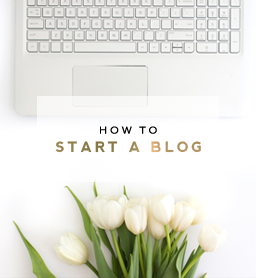 If you’re lucky, the font you are looking for might be identified in this step and you won’t have to go any further. In many cases, your font will not be found automatically. 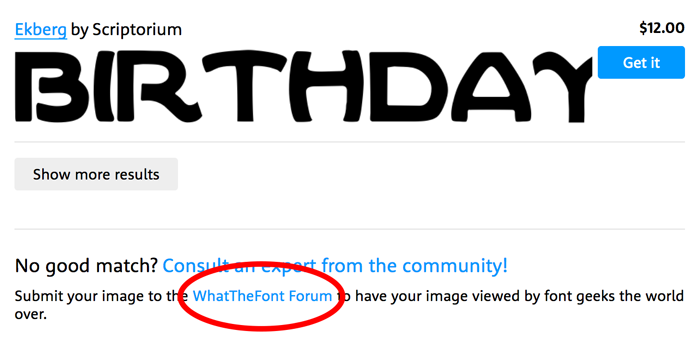 The good news is you can submit your image to the WhatTheFont forum for typography experts to review. 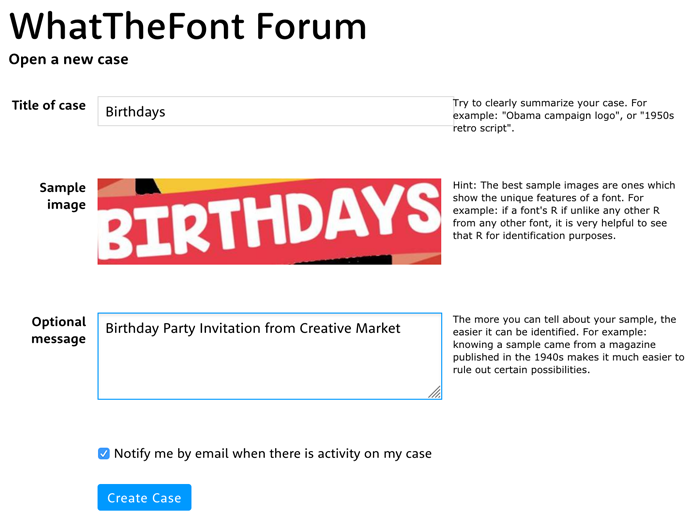 After you click on the WhatTheFont forum link, you will be asked to login or create a free account with My Fonts. Open a new case by typing in the title of your case. You can type anything from the word that you are representing to a plea for help. It is optional to add a message about where you found the font as well. Make sure to check the box that says “Notify me by email when there is activity on my case.” The minute your font is identified, you will receive an email with the information. Once you click “Create Case,” there is no need to keep refreshing or checking your forum post for activity. It can take anywhere from a few minutes to 24 hours or more for experts to review your post and identify the font. Be patient; as long as your font is not handwritten, there is a good chance it will be identified. Once you receive an email with the identified font, you can click on the link that will take you directly to the font you are dying to know. We know you have some questions about this amazing service. There is a great FAQ section on the WhatThe Font Forum page. We have been using WhatTheFont for years to identify fonts for our clients and have had great success with this free service. 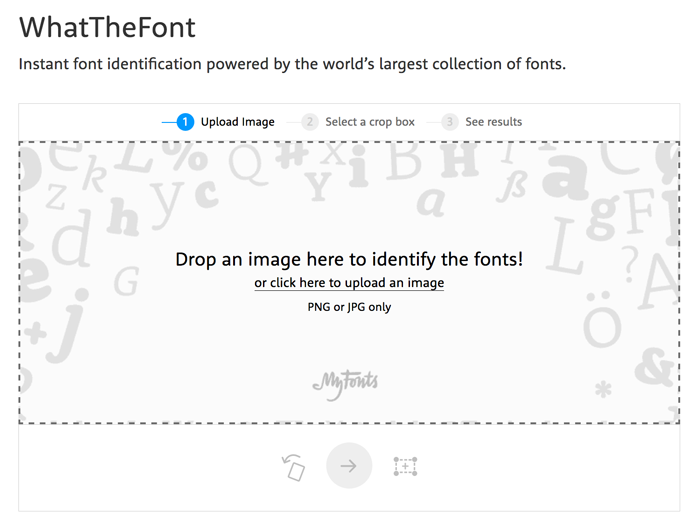 The next time you come across the perfect font for your project but don’t know what it’s called, give WhatTheFont a try!